"At Facial Aesthetics we pride ourselves on delivering exceptionally high patient care. We base our business on word of mouth referrals and are grateful for our loyal clients. Treatments around Chelmsford and Colchester for over 15 years, see below for our Positive and Amazing reviews for our Skin Treatments at our Essex clinic." All Reviews have been independently Verified at Facebook, Google+, WhatClinic and Consulting room pages. Over 15 Years Successfully treating Thread Veins, Facial Veins, Red Veins and Spider Veins at our Essex Clinic. I had an appointment for Veinwave. Julie was very informative and I went ahead with the treatment. Have booked my second follow up appointment and am so far hopeful with the results I wanted. Fingers crossed! The clinic has a lovely calming feel within a beautiful setting. Julie Scott’s clinic at Facial Aesthetics is in a beautifully tranquil setting and is a pleasure to visit. Julie gives you a lot of care and attention and makes sure that you’re getting exactly what you want. I have been treated for thread veins on my nose and cheeks using veinwave treatment. Absolutely fantastic. Could not be more pleased. Julie is wonderful. The clinic is excellent. I am overjoyed with my treatment and have already recommended it to friends and family. I’m a happy man. Received Vein wave therapy. Instant fabulous result. Julie gave my skin a full assessment and gave her professional recommendations, which are working wonders for me. Julie has a wonderful manner, and is very passionate about your skin, not just for now, but its future needs. Over the moon, thank you Julie. I recently had Veinwave treatment to treat small capillaries on and around my nose and a few on my cheeks. As I understand it, Veinwave eliminates veins via a process known as thermo-coagulation whilst protecting the skin surrounding the vein. It can take a few treatments for the capillaries to disappear (with about 6 weeks between each treatment). During treatment there is a bit of a mild sting but cream to numb the area can be applied to help with this. After the treatment my skin looked red for about 20 minutes and the capillaries were immediately lighter. Over the next few days and weeks the capillaries became much darker with some disappearing completely (the ones of my cheeks) other more stubborn capillaries (around the sides of my nose) did diminished in appearance but needed further treatment. I am now four weeks post my second treatment and I am delighted with the results. Nearly all of the capillaries have gone and I am able to wear much less concealer. It has made a huge difference to my confidence and I would definitely recommend this treatment. 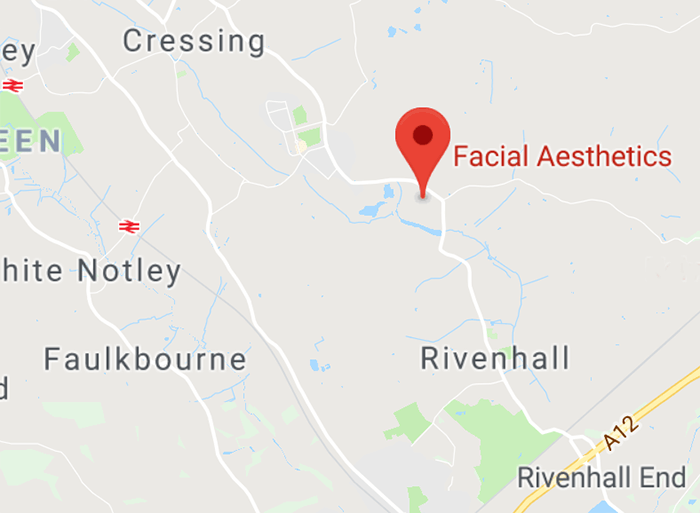 I found Facial Aesthetics when I was looking for a clinic nearby that provided Veinwave treatment. My first impressions were excellent. The clinic is in a beautiful, restful setting and Julie herself was very welcoming and knowledgeable about the treatment. Julie was extremely professional and gave generously of her time allowing me to relax and discuss what I was looking for. During the procedure she showed incredible attention to detail and was always making sure I was as comfortable as possible. Four weeks post the second treatment, the results are fantastic. To see the capillaries diminish and then completely disappear has really boosted my confidence. I can now get up a bit later in the morning before work as I no longer have to spend time trying to conceal broken capillaries on my face! As well as the Veinwave treatment I indicated that I was interested in skin rejuvenation and the ZO skin care products and Julie recommended a regime for my skin. I have very sensitive, oily, acne prone skin which could really get me down at times. Since using the ZO products Julie recommended, my skin has been far less acne prone and looks and feels much more in balance. I am very grateful to Julie for her expertise and her time and would highly recommend Facial Aesthetics. I had started to develop large thread veins on my nose, not severe but bad enough to notice that peoples eyes would drop when in conversation. I researched ‘Veinwave’ treatment and after much consideration found someone close to me and had good reviews. Julie was amazing, informative and so much experience, she pretty much decided that I was a good candidate for this treatment. my initial consultation appointment was for a Saturday morning. I was that happy with our conversation that I decided to have the 1st treatment there and then. Its a little uncomfortable, but the results!! incredible. Julie kept talking to me throughout so it was good to know how far in and how long left, a little eye watering but really not that bad. I have had 1 follow up treatment which must have lasted 3 minutes, 1st treatment appx 10 minutes. I would say that 95% of the veins have disappeared and the really deep red veins are so faded that only myself can see them when I look close enough, would recommend this treatment and in particular Julie. I had Veinwave treatment to remove some unsightly veins on my face. Julie explained every aspect of the procedure in detail and also why I had them and what I could do in the future to prevent them. She is very friendly and knowledgeable and there was plenty of time to discuss my needs and expectations before and after treatment. The treatment itself can be uncomfortable but it doesn’t last long and is so worth it! I’ve had two sessions for my facial thread veins with Julie and each time I have felt fabulous afterwards, I have had laser in the past for these from a chain skin clinic but the recovery took ages and I was left with purple bruising that took two weeks to settle.Julie explained in detail exactly what was going to happen and most importantly the aftercare. The products I purchased also make a difference to my overall complexion. I may even be tempted to try some more treatment next month! Julie is a very thoughtful professional and a good listener. She took great care to check at all times that her understanding of what was wanted matched my expectations. I was very pleased with the results of my treatment and satisfied with the price I paid. Julie made the procedure as painless as possible. As I had several thread veins on my face for all of my adult life I felt it was about time I did something about it, I’m 59. I phoned and had a chat with owner Julie at Facial Aesthetics. I cannot deny that the treatment ‘stung’ a little particularly around the nose area but overall the treatment was fine Julie having told me to let her know if I need a break, which I did . As I recall the treatment took between 15 and 20 minutes tops! I could see a difference the following day and when the redness had subsided (only 3 days for me) I was really pleased. It is important to follow your therapists aftercare advice which I did. Next week I shall be going for my top up/follow up (no extra charge as all part of the treatment price) and have no worries or concerns at all about this. I can see such an improvement already and family members, without prompting or knowledge of what I have had done, have commented on ‘my lovely skin’. Excellent! The redness on my face had subsided within 3 or 4 days and I followed Julies aftercare instructions to the letter. I had Vein Wave treatment for facial thread veins, I was very pleased with the results of my first treatment. The procedure was explained adequately to me including what to expect after treatment. Excellent aftercare. I have recently had thread vein treatment on my face. Some areas on my face were very angry and red and I did wonder before the treatment if there would be much difference. I am now a few weeks after the treatment and I cannot believe how great my skin looks and feels. The area I was most worried about is fantastic and only one or two slight veins showing. Julie Scott is very Professional and takes her time to look at your skin, put you at ease and explain fully the treatment and what to expect in the few weeks afterwards. I am due to return to the clinic in a few weeks time so that Julie can assess my skin and to go over the odd veins still showing. This is included in the initial price which I think is very good. Julie doesn’t just do a one off treatment and not follow the results up. She cares about her clients. I would not hesitate to recommend her clinic. Julie is very friendly and it was a pleasure to discuss my needs with her as she was so knowledgeable about the skin and the products that would benefit me personally. I had some VeinWave treatment that was explained in detail so I knew what to expect straight away and over the next few weeks. I was badly in need of a new skin care regime and I have been using the products that Julie recommended for a week now and I am delighted with the results. Thank you Julie. These reviews have been verified on our Facebook, Google+, WhatClinic and Consulting room pages.